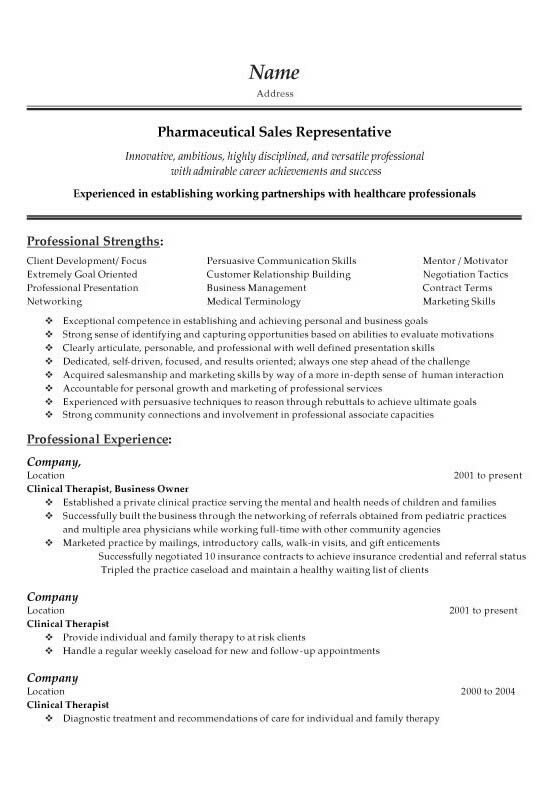 This is a resume for an individual with history in the Clinical Therapy business but a new job target as a Pharmaceutical Sales Representative. The document may also be helpful for anyone in medical or health care sales positions that are transferring to health care or pharmaceutical sales. 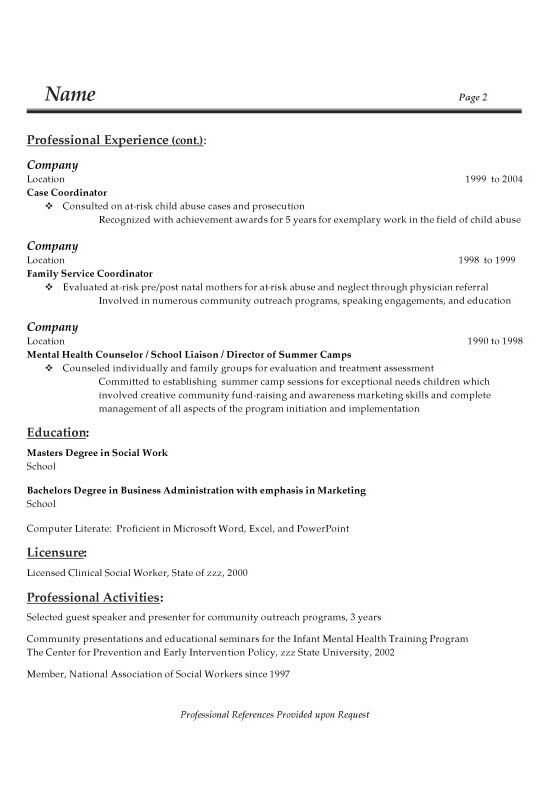 The resume represents an individual that is trying to break into the pharmaceutical sales industry. The summary is composed of the job title, a headline statement and secondary statement to support the job target. The pharmaceutical sales resume emphasizes transferable skills in business management, medical terminology and client relationship development. Sales related skills include building professional presentations, networking, creating partnership, mentoring and contract negotiation. The body of the paragraph outlines experience, duties and responsibilities as a Clinical Therapist. The job seeker highlights important aspects of their position as it relates to business ownership and would be more applicable to a pharmaceutical sales position. This includes building the business, finding referrals, marketing and negotiations. The job candidate also has a Bachelors Degree in Business Administration with Masters in Social Work. Promote and sell over the counter, non-prescription products within the medical therapy area. Manage sales territory, work closely with doctors, medical staff and pharmacists. Create sales tactics and design marketing strategies and deliver powerful presentations to doctors and medical decision makers. Provide consulting services to pharmacists, retail pharmaceutical managers and outside partnerships. Manage strategic objectives and efficiently monitor resource allocation. Take on initiatives to increase market share and consistently exceed sales quotas. Forge strong relationships with existing and new Physician’s groups and their administrative staff. Possess strong understanding of the pharmaceutical marketplace and the product sales processes.